Until this point, much of the QI training the participants have received has been via webinar and phone calls with their QI coaches. 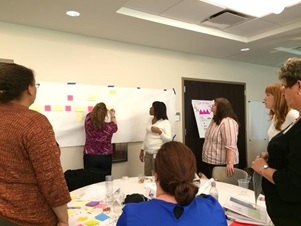 The workshop focused on learning QI methods and tools to build effective teams, improve the efficiency of day-to-day operations and preparing for testing multiple change ideas in their local settings. Participants were able to interact with faculty and coaches face-to-face, as well as share ideas with public health colleagues in other agencies. 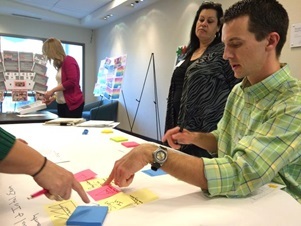 Following the workshop, teams will participate in the action period phase where they will test and implement their QI plans and participate in an on-site rapid improvement event, called a Lean Kaizen. Also during the action period, teams will participate in four additional webinars to learn about additional QI tools, continue to exchange ideas with other teams, and receive coaching from faculty. The teams still have very important work ahead and will return for Workshop 2 in March where they will learn about sharing and sustainability strategies as well as celebrate their accomplishments! Stay tuned for updates on Wave 9!